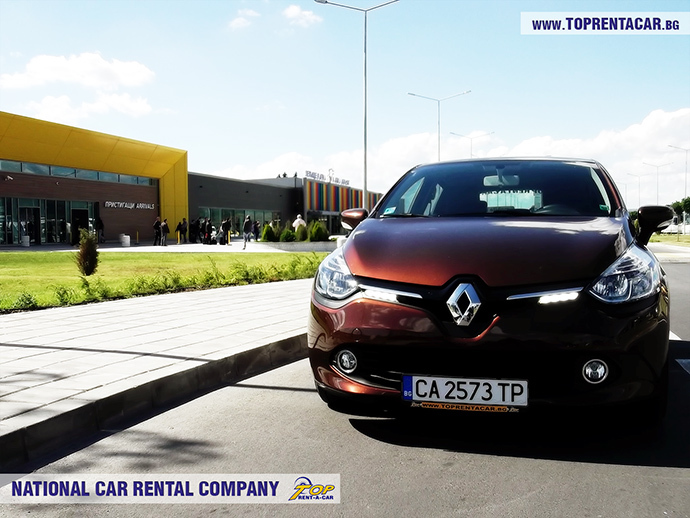 Top Rent A Car has car rental offices in Sofia , Varna , Bourgas , Sunny Beach and Golden Sands . Since the beginning of 2010 the company has two new locations for car rental in Bulgaria - Varna Airport (T2) and Burgas Airport, and in 2012 was opened an office in the center of Burgas (Mall Plaza). In 2014 Top Rent A Car has opened a two new offices in one of the most popular sea resorts - Sunny Beach and Golden Sands. 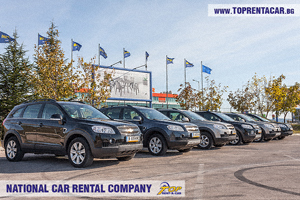 Top Rent A Car offers direct delivery of cars to every Bulgarian city, the airports in Bulgaria and all major cities in Romania, Greece and Turkey. As you've noticed, Top Rent A Car has a website for online car rental in Bulgaria. Due to the reservation system, you can easily book a car in just 3 steps. "Meet and greet" service is offered (we will welcome you at the airport and fill up the documents in place), delivery to the hotel, address or one of our offices. Where will you drive the rented car? Consider whether you will drive the car only in the city or outside the city, mainly on motorways. Will it be more convenient to rent a small car, perfect for the "urban jungle" or a large and comfortable car for long distance trips? Are you going to drive alone, with your friends or it will be family trip? It is the one of the common problems when crowded family book a standard car instead of a minivan, only because it's cheaper. Don't forget the number of the bags! Do you consider driving abroad? You should inform us in advance if you consider traveling abroad with the rented car, because there is limited drive abroad access, also there is cross border fee depending on the car class. What the cross border fee covers is: expenses for green card and power of attorney. Usually these questions should be answered before the client come into the car rental office, and he is aware of what car wants to rent. If you are not sure what you need, our rent a car agents or online team will help you to choose the best option. You can contact 24/7 with Top Rent A Car via live chat, via Skype, e-mail, phone: +359887205813. We're going to help you to make the right car hire choice. The most of our customers are using online payment. Watch our video in YouTube "Car hire in Bulgaria Top Rent A Car" to be aware of the procedure of renting a car. Notice that you should have valid driver license, so check the expiration date before that! Do you need additional insurance? It is not mandatory, but it will protect you in case of car accident. After filling up the papers, the rent a car agent an the customer are inspecting for scratches, and are pointing them into the protocol if any. The customer should be informed about his rights, about the driving laws and the safety driving. Please note: In case of damage or theft of the vehicle the Renter is obligated to provide all needed documents/protocols from the Police authorities. Otherwise, the Renter is liable for the full amount of the respective damages or the full insurance amount in case of total loss or theft. The renter is fully liable for partial theft, loss of parts, accessories. Lost vehicle documents/keys: A fine of 100 EUR applies (incl. loss of CD/Radio panel). The interior of the vehicle is not included in the insurances and waivers. Also, do not park your car in places where it is prohibited. Most of our cars are equipped with a GPS system for tracking the position of the vehicle at any time. You can return the car at the office, the same as the pickup place. You can return the car office of Top Rent A Car in another city, but you may be charged "one-way rental" fee. Wherever you return the car, the procedure is always the same and takes less than 10 minutes. You must return the car with a full tank and without any new scratches and damage. If everything is ok, the rent a car agent is looking for forgotten items. These days the car hire service is an integral part of the journey. It gives to you freedom of traveling and possibility of discovering new interesting places and attractions. Top Rent A Car owns a fleet of over 800 cars by 2014 we are giving you not just cars, but pleasure of traveling.